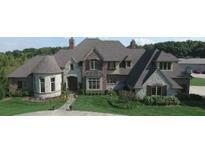 Find Noblesville, IN Homes for sale. View Photos, Maps and MLS Data Now! Easy walk to Downtown shopping, dining, entertainment and schools. MLS#21635296. 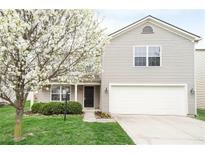 Keller Williams Indpls Metro N.
Fresh paint 2019, new kitchen light fixture 2019, new dishwasher 2019, new microwave 2019, new screen windows, professionally landscaped 2018, 3yr old water heater, MLS#21635027. CENTURY 21 Scheetz. Deep 4car garage & an insulated 3000sqft (48x60) pole barn with water & HVAC. Paradise! MLS#21634877. Red Oak Real Estate Group. Photos shown may be an artist rendering, model home, or of the same model but located in a different Lennar subdivision due to current construction stage. MLS#21633751. CENTURY 21 Scheetz. Conner Crossing - Photos shown may be an artist rendering, model home, or of the same model but located in a different Lennar subdivision due to current construction stage. MLS#21634833. CENTURY 21 Scheetz. Easy commute to Indy. Sellers are relocating. MLS#21633429. Carpenter, REALTORS®. New windows ('16), new water heater ('12), new front door & French doors ('15), new outlets ('15) and new Furnace ('17). 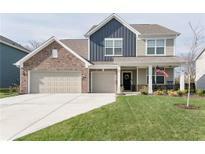 Freshly landscaped and move-in ready! MLS#21633819. Highgarden Real Estate. Oakmont Green - Master has vaulted ceiling, separate shower plus tub & deep walk-in closet. MLS#21633402. Chapman-Osborne Legacy Rltrs. Oakmont Ridge - Come see this beautiful family home! MLS#21633642. Keller Williams Indy Metro NE. Deer Path - Loft area is perfect for a media room, playroom, or home office; Newer paint including doors & woodwork; newer carpet throughout; Finished garage w/service door; back yard is tree lined and private; Roof 7 years; Great n'hood w/trails, tennis, playground, b-ball & pool; near major highways, shopping & entertainment. Award-winning schools, too! MLS#21634937. F.C. Tucker Company. 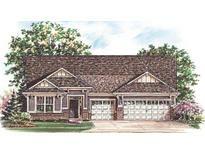 Large heated garage with plenty of space w/ huge attic space for extra storage. Come see it today! MLS#21633518. Trueblood Real Estate. Carrigan At The Levee - Plenty of space for all of your loved ones and enjoy Morse Lake Marina just steps from your front door! MLS#21633788. Keller Williams Indy Metro NE. Other upgrades include a new high efficiency furnace and a/c in 2018, as well as a new roof, new water heater, and water softener in 2017. MLS#21633538. RE/MAX Legends Group. This home is immaculate and ready for move in. Welcome home! MLS#21632945. 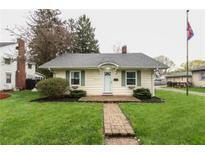 Keller Williams Indpls Metro N.
Situated on a wonderful historic neighborhood street the home is extremely clean and move in ready. MLS#21633821. David Nash. Marilyn Ridge - Great location, close to Hamilton Town Center. MLS#21632474. Coldwell Banker - Kaiser. Stoney Creek Village - Talk a look you'Lower Level be glad you did. MLS#21633590. F.C. Tucker Company. Can walk through path to get to the pond behind the homes on Duck Creek. MLS#21633535. Cogis Real Estate. Built only 1 year ago, owners relocating. MLS#21633530. Paradigm Realty Solutions. Twin Oaks - Reverse osmosis water filtration at kitchen sink, fridge ice and water. Family room sound system speakers. MLS#21633512. Flat Fee Realty, LLC. Twin Oaks - Roof new 2016, water heater new 2017. MLS#21633075. ERA Real Estate Links. This property would be ideal for a home based business. MLS#21633277. KC Ayer Real ESttate, Inc..
Enclave At Deer Path - New HVAC, storm doors, sump pumps. MLS#21633500. Realty Trust Group, LLC. Exterior painted 2019, New Windows (2014) You will spend hours in the huge, private backyard w/ Large storage shed, concrete patio, firepit, porchswing, playset & no neighbors behind you! MLS#21631978. CENTURY 21 Scheetz. 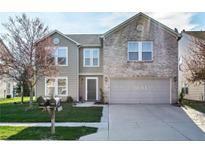 Highlands At Stony Creek - Newer Water Heater (15'), all appliances stay. MLS#21633491. eXp Realty, LLC.